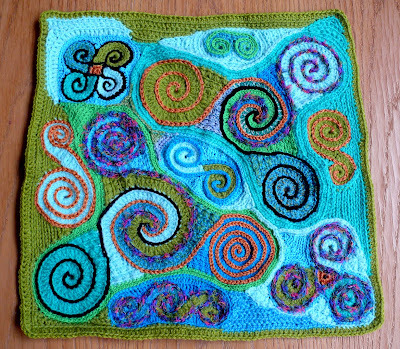 It's been a while, due to illness and carnaval celebrating days, but the front of the spiral pillowcover is finished! 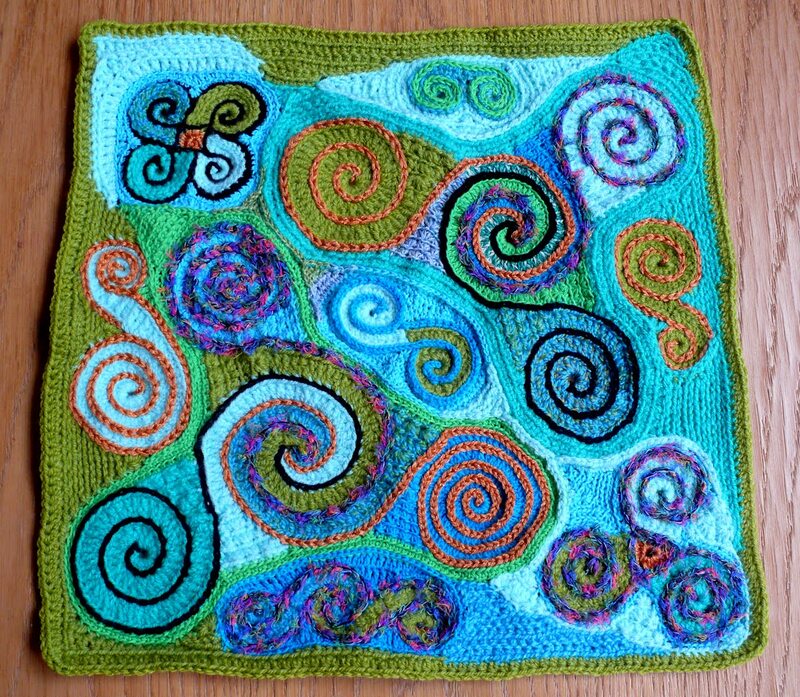 It was a nice project to make, testing the theory of making only crochet and spirals. I crocheted a round of hdc around the square, to make the atachment to back more smoothly. I'll make the back in plain green, using dc, then finish it off by making a round of crabstitches, that'll give a nice embellishment and firmness to the edges.